The more chocolate, the better. 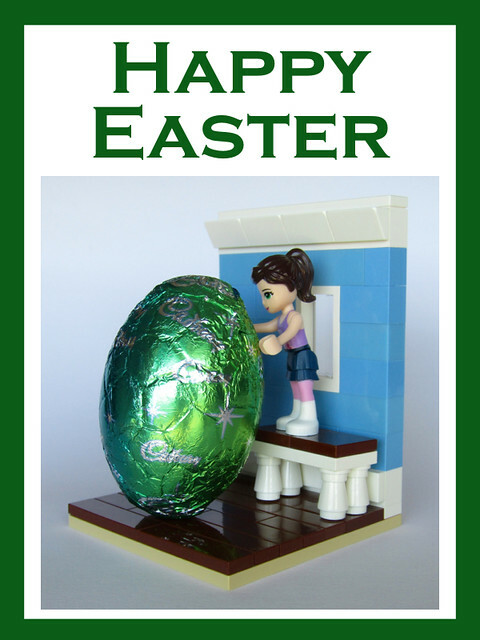 This entry was posted in LEGO and tagged Easter 2017, easter egg, Emma, LEGO by Kristel. Bookmark the permalink. Hey Kristel, where have the updates gone? I love this website. Thanks, Cameron. I’m struggling to find the time these days to spend as much time as I would like on this site. I’ve been focusing on building my section of the Eurobricks collaborative build for Brickworld this week. I’m really excited about this and can’t wait to share pictures of the build!